During the month of May, The Historic District Promotions Committee put on aMAYzing Places in Downtown Sheridan. 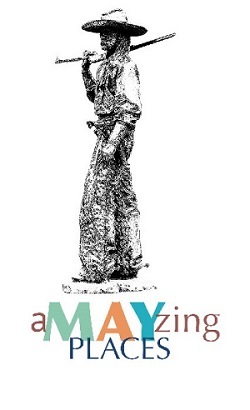 Starting on May 1st, customers that shopped at 1 of the 35 participating businesses had the opportunity to enter into the aMAYzing Places raffle. The entry forms were gathered up and winners were drawn every Monday of the month. Businesses donated gift certificates for the winners to receive. Congratulations to our winners: Tommi Taylor, Deb Mullinax, Joanne Goss, Jody Yelton, Carala Davis, Barbara Walter, Cheryl Koch, Ashley Koltiska, Hal Crawford, Cathy Pelissiar, Logan Bishop, Craig Johnson, Dan Smith, Renea Parker, Diana Sobo Miller, Alexi Egbert, Loyce Ellingrod, Cindy Ketron, Kay Pearson, Gloria Moore, Dixie Cooper, Danae Brandjord, Anne, Andras, Renee Meador, Skye Bensel, Brett Garden, Debbie Reed, Beki Speas, Becky Howell, Shasha Saur, Garrett P., Mindy Wilson, Valerie Brutlag, Melissa Condos, Connie Krezelok, Sierah Turner, Ashley Joy, and Mandy Koltiska. Thank you to our participating businesses and all that participated in aMAYzing Places! 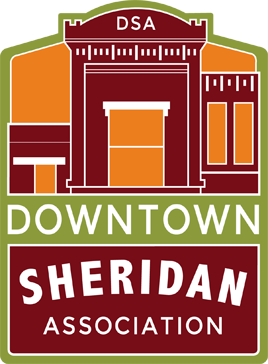 The HDPC is sponsored by the Downtown Sheridan Association and the Sheridan Chamber of Commerce. They meet monthly to discuss the promotion of downtown businesses and to create programs intended to specifically thank their local, loyal shoppers!